Japanese video game localizer XSEED will be coming to E3 2017 next week with a host of new games from Japan. The company missed out on localizing Ys VIII: Lacrimosa of Dana, but it has a few other Japanese action titles to add to its resume, including a new Senran Kagura game. Senran Kagura producer Kenichiro Takaki will also be in accompaniment at the show, making his first appearance ever at E3. I'm very much looking forward to meeting fans of my work at E3. I never thought that the series would leave Japan when I created Senran Kagura, but now that it has gained fans worldwide, I want to meet them and am so happy that Marvelous and E3 has allowed me to do just that. And as for the games, XSEED has five in tow that it will be showing off. Originally released in Japan as Zwei II Plus and developed by acclaimed RPG developer Nihon Falcom, Zwei: The Ilvard Insurrection is a charmingly presented action RPG featuring a unique food-based experience system, a colorful cast of characters, and a quirky, standalone narrative. When the haughty vampire princess Alwen du Moonbria saves the life of brash, treasure-hunting pilot Ragna Valentine in exchange for a blood contract, the unlikely duo must set off to recover Alwen's stolen magic and usurped castle. The game's real-time combat is tied to a unique leveling system that allows players to choose when to apply experience toward leveling up or whether they should save it for extra perks later on, and pets can fight alongside players to help take down some of the massive bosses encountered on this lengthy adventure through the land of Ilvard. Fans of vampires, treasure-hunting, fairies, ninjas, luchadores, cat-people, vintage airplanes, magic castles, robots, chickens that lay bombs, and more will find lots to love! 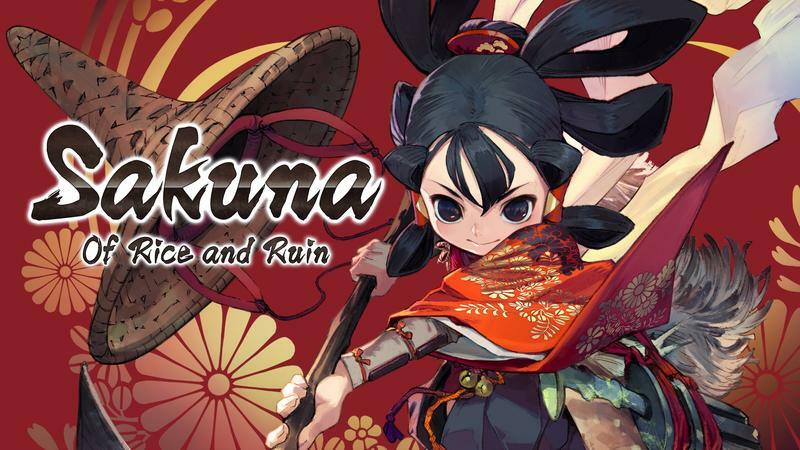 Developed by Edelweiss, the talented indie team behind the acclaimed shoot-'em-up Astebreed, Sakuna: Of Rice and Ruin is a side-scrolling action platformer inspired by Japanese mythology that breaks up the action with rice growing sim gameplay. Players take on the role of Sakuna, a proud yet lonely harvest goddess who is banished to a dangerous island with a group of outcast humans. Sakuna tames the island by defeating demons using farm tools as weapons while chaining attacks with her "celestial scarf," a magical item that allows her to grapple distant enemies and platforms. The game's painstakingly researched story incorporates Japanese history and legend, with its heroine facing off against numerous types of demons great and small as she traverses detailed landscapes. In addition to serving as a love letter to Japanese mythology, Sakuna: Of Rice and Ruin is an ode to the artistry of cultivating rice, and features an engrossing simulation of the craft behind the agriculture. The summer of bouncy, high-flying hijinks continues for everyone's favorite shinobi schoolgirls in the series' latest entry and third-person splasher, Senran Kagura: Peach Beach Splash. Players will choose a team of five from the more than 30 girls available, outfit them with customizable weapons and abilities, and then lead them into lighthearted water gun battles in a variety of combat arenas. Players can also go online to join their friends and take on opposing teams in 5-on-5 battles as well as survival matches. Come on in; the water's great! Following a successful launch on the PlayStation 4 and PS Vita systems, the Nintendo Switch version of Fate/Extella: The Umbral Star comes loaded with 35 previously-released paid DLC costumes along with an exclusive new Unshackled Bride outfit. Developed by Marvelous Inc. and expanding upon the extensive Fate universe with an original story from acclaimed series writer Kinoko Nasu (of Fate/stay night fame), Fate/Extella: The Umbral Star features playable characters from multiple Fate productions across three distinct narrative perspectives, delivering the series' most legendary showdown yet in one action-packed title. This title has been rated "T for Teen" by the ESRB. Following a successful launch on the PlayStation 4, PS Vita, and Wii U systems, Shantae: Half-Genie Hero is headed to Nintendo Switch with new content as fresh as the open sea. The Nintendo Switch version of this hair-whipping action platformer comes packed with the game's upcoming Risky Boots DLC, Pirate Queen's Quest! In this salty new adventure, players take the role of Shantae's arch nemesis Risky Boots, as she travels to the four corners of Sequin Land in search of components needed to deliver its destruction. New puzzles, new enemies, and all new gameplay aim to augment this already awesome adventure. This title has been rated "T for Teen" by the ESRB. E3 2007 runs from June 13-15 next week. Enjoy!